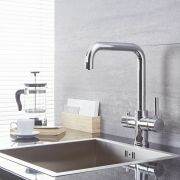 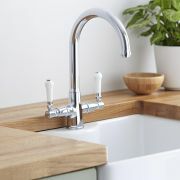 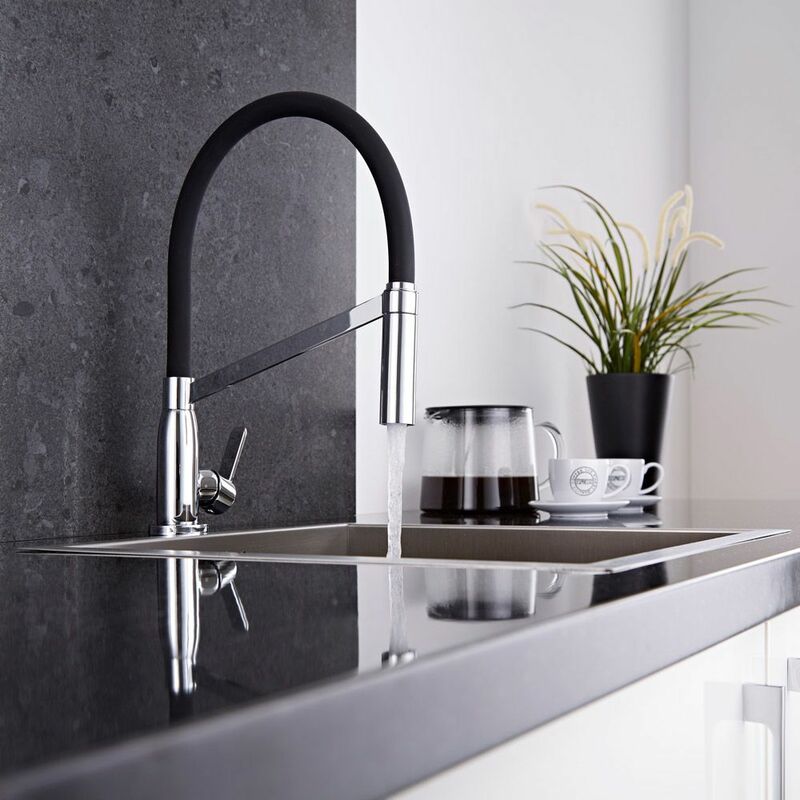 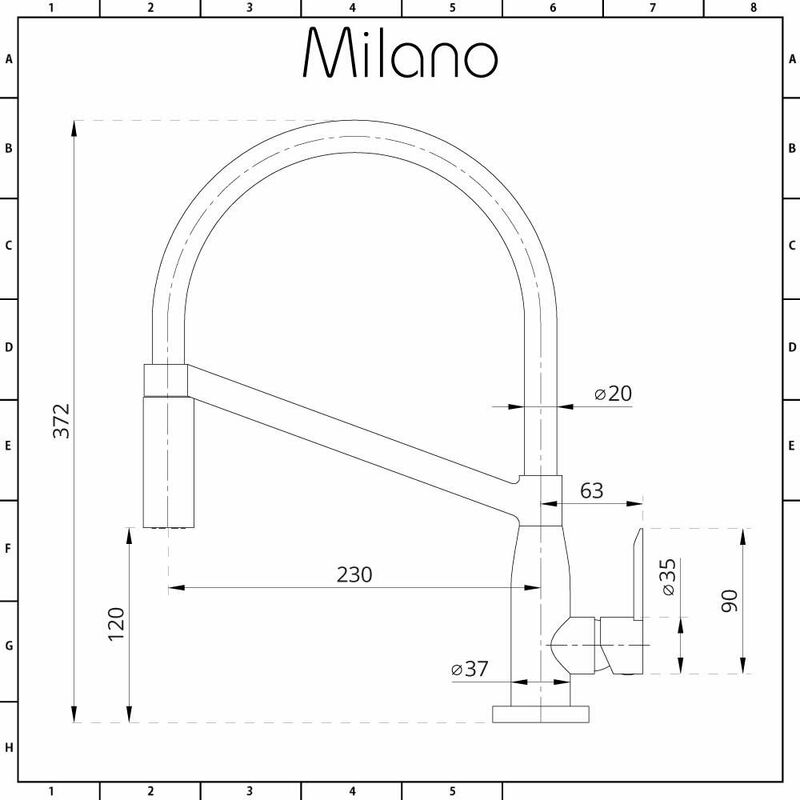 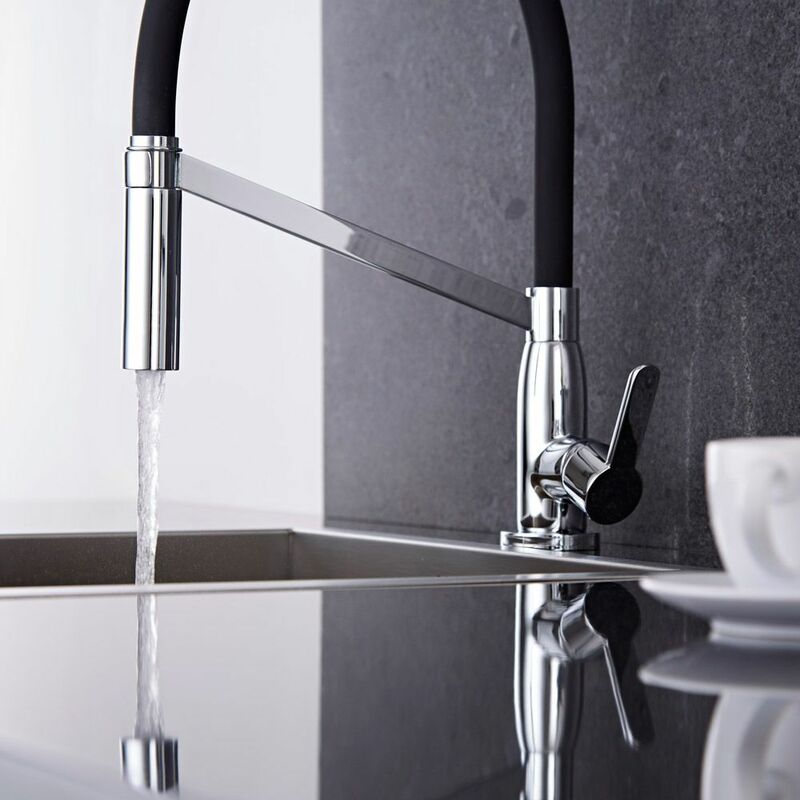 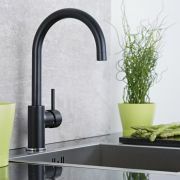 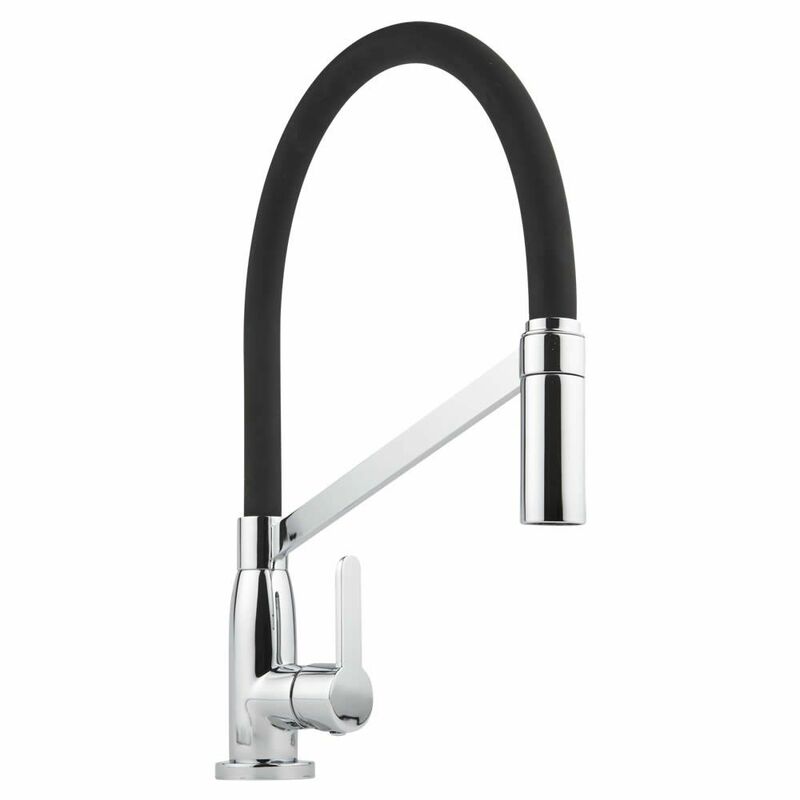 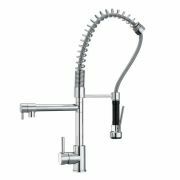 The Milano Modern monobloc kitchen sink mixer tap combines stylish looks with superb functionality. 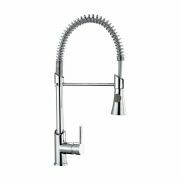 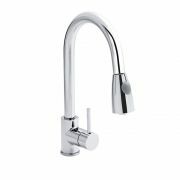 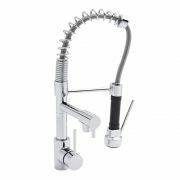 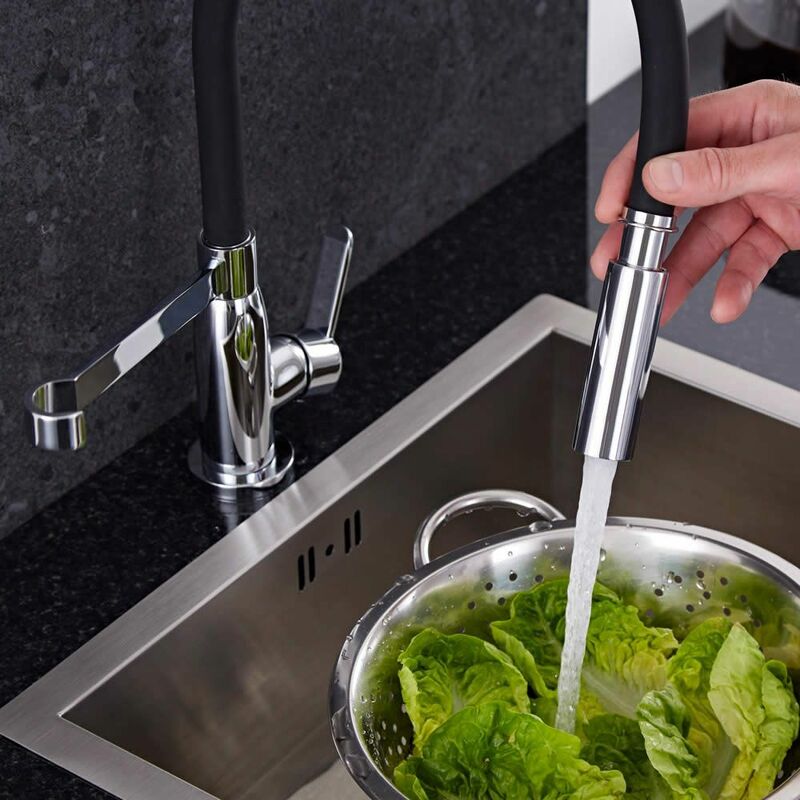 Featuring curved lines and a chrome finish, this mixer tap has a pull out flexi spray so you can rinse pots, pans and veg with complete ease. 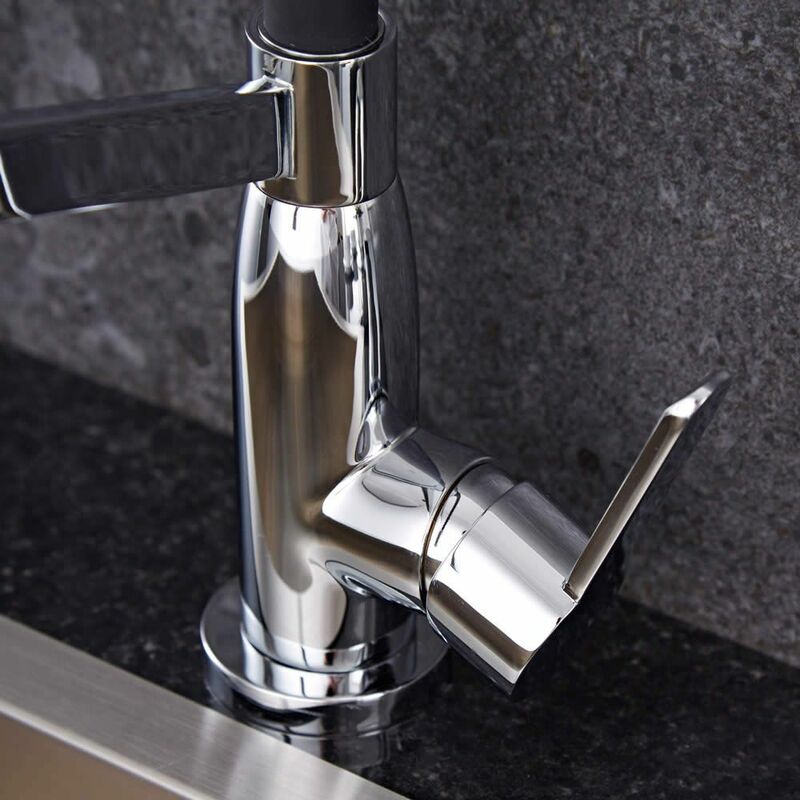 Incorporating ceramic disc technology to ensure smooth control, the sink mixer tap is sure to add a designer touch to your kitchen. 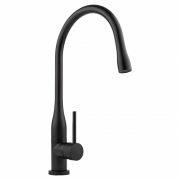 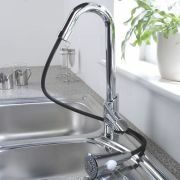 It has a solid brass body for durability and a single lever handle that controls the flow and temperature of the water.